A group of dental students from Plymouth University Peninsula School of Dentistry are working with Plymouth Community Homes to investigate the relationship between social housing and oral health. The team have looked at how social housing impacts on oral health and general well-being. 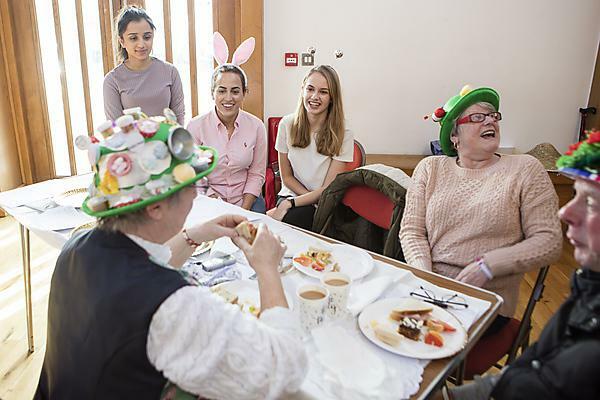 As part of the project the students ran a Mad Hatter’s Tea Party-themed quiz on the subject of oral health and hidden sugars in food for tenants of Plymouth Community Housing – especially timely given the recent announcement made by Public Health England regarding the high sugar levels of breakfast cereals.